Marketing Is Changing - and So Are We! As the digital evolution continues, SouthPrint has expanded services to include video production. In addition to continuing our expertise in producing quality, affordable business to business printing, we now offer our clients another way to get their message across the world of digital as well. We specialize in 1-3 minute videos designed for online consumption - websites, social media feeds like LinkedIn and Facebook. We get to know your brand, your story, and we help you tell it across more than one marketing channel for maximum impact. 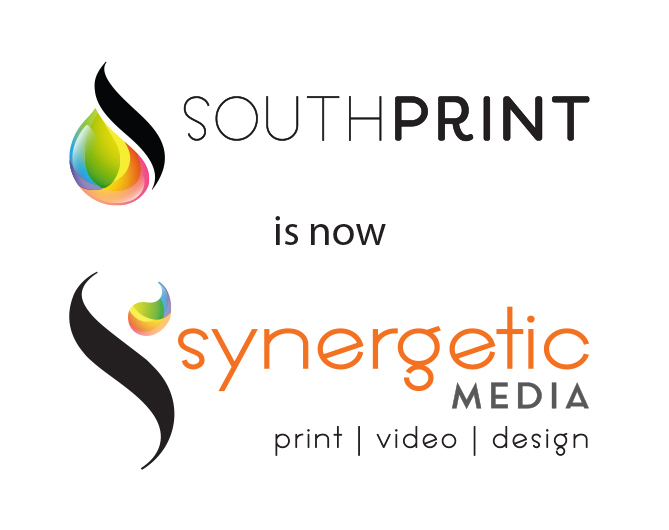 To reflect our expanded services, we have a new name: SYNERGETIC MEDIA. What is SYNERGETIC? It is the quality of having synergy. This is not only WHAT we do but HOW we do it. "The whole is greater than the sum of its parts." When you work with Synergetic Media, not only do we help you produce more than one kind of marketing materials that come together to supercharge your brand, we partner with you and your team to create the best possible product every step of the way.